Skyline is more than a leading provider of commercial and residential cleaning services in the greater Madison area. We are the realization of a vision. We are proof that hard work, determination, and a dedicated staff produce the exceptional results and personal touch our customers have come to expect. Integrity is our number one priority. For more than 30 years, Skyline has developed a loyal and ever-growing customer base built upon a foundation of customer and employee satisfaction. Founder Steve LaRonge started cleaning buildings in the Madison area in 1982. Soon after, he began working with his wife, Linda, and they personally cleaned properties every night to get Skyline off the ground. From those humble beginnings, they built a strong, successful company, consistently surpassing the expectations of both new and established customers. Skyline now services over 120 commercial accounts and 50 residential customers, ensuring quality control and continuous improvement through our benchmarking methodology and establishing an exemplary record of proven results. Steve and Linda understand what it takes to raise a family and realize your dreams. Over the years, they learned that in business, as with family, it takes a team of talented people to reach success. Because of this, Skyline takes an active role in supporting our employees and helping them improve their futures. Skyline's "Pathways Training Program" was developed to offer specialized career plans for our employees, including expert training, incentives, and opportunities for advancement into supervisory positions. As a young and energetic entrepreneur, Steve established Skyline Services, Inc. in Madison, Wisconsin in 1982. Working with his wife, Linda, he personally cleaned properties every night to realize his vision of a thriving professional cleaning company. From those humble beginnings, Skyline developed into the successful enterprise it is today, consistently surpassing the expectations of both new and established customers. Linda’s commitment to our residential services reveals the value we all place on complete customer satisfaction. By listening and understanding what our homeowners are looking for, she can create cleaning solutions to meet each unique situation. Linda enjoys creating lasting, trusting relationships and making both our customers and our employees feel like part of the family. Isaac’s role at Skyline demonstrates an intricate balance of responsibilities. While engaged in creating operational efficiencies for the company, he also focuses on developing and realizing growth potential. Growing up in the family business, Isaac has a unique and holistic view of Skyline and the industry. 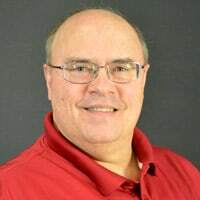 In the past several years, he has optimized methods for inventory control, commercial cleaning services, customer relations, and workforce management. Isaac strives for excellence and efficiency in every facet of operations. Nancy brings a wealth of skills and experience to Skyline. Bilingual and devoted, her top priority is creating a team of efficient, happy, and productive employees. Nancy conducts interviews, assists with all HR processes, trains and mentors new staff, schedules cleaning services for our customers, and supervises employees in the field. Austin facilitates specialty services for our customers, including carpet cleaning, upholstery cleaning, tile cleaning, resilient floor care, and window cleaning. In addition, he assists with scheduling and estimates for construction cleanup projects. Austin moved up in the company after starting his career at Skyline as a specialty worker. He is a highly trained, IICRC Certified Carpet Care technician and a dedicated member of the Skyline family. Laurie handles a variety of business operations for Skyline, including office management, Human Resources, process development, accounts receivable, and payroll processing. Laurie’s combined roles enable her to serve our employees and customers on collaborative projects that utilize both administrative and interpersonal skills. Mariah ensures our commercial customers have the supplies they need, while keeping our warehouse personnel and processes efficient and organized. In additional to her meticulous work with inventory, Mariah assists with office management, social media, and record keeping. Jose is an invaluable part of Skyline, as he is responsible for mentoring and training the Specialty Team with the best methods for windows, hard floors, carpets, and construction clean up. He is an expert in the repair and maintenance of our cleaning and mechanical equipment. In addition to keeping the machines humming and his staff informed and prepared, Jose looks for ways to improve our services and exceed the expectations of our customers every day. Fernando brings over 20 years of industry experience to the role, training and supporting his team and personally inspecting their work onsite at various locations every evening. He ensures that the results meet our high standards and that our employees are operating with the level of professionalism our customers expect. Fernando brings a healthy dose of humor and respect to all his professional relationships, taking pleasure working with our customers and staff alike. An employee for more than a decade, Ascencion attributes his devotion to Skyline to his love of people. Whether working with Skyline’s customers, his co-workers, or the company owners, it is the daily contact with people that motivates him. Ascension supports his team of commercial cleaners and trains them thoroughly in all aspects of professional cleaning to ensure every project is finished with excellence.